Here’s what all these questions/concerns/excuses have in common: They’re not sound. (Well, except for the expensive part. Research is expensive, sometimes. But so is design. 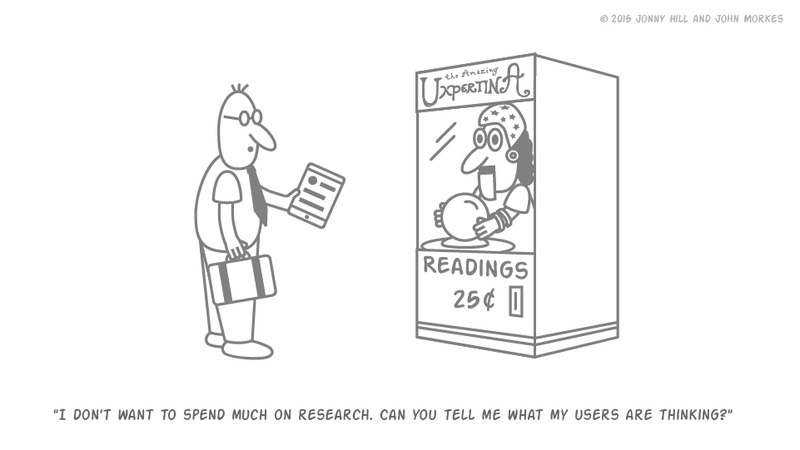 Especially a beautiful design that doesn’t work for users and thus needs to be redesigned…with research.) They make it look like bypassing research is an easy way to get faster designs. But it’s not! It’s quite the opposite, in fact. No you don’t! 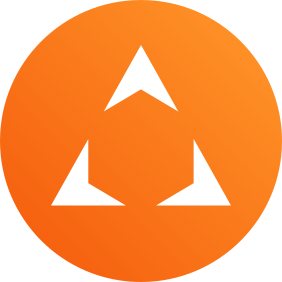 It’s easy to fall prey to that thinking because it’s very obvious when users’ actualbehaviors differ from how they say they behave—which happens often. You can see what they’re doing but you don’t know what they’re thinking. So yes, design is cooler and it gets to the Christmas presents first. But…breakfast is the most important meal of the day, am I right? 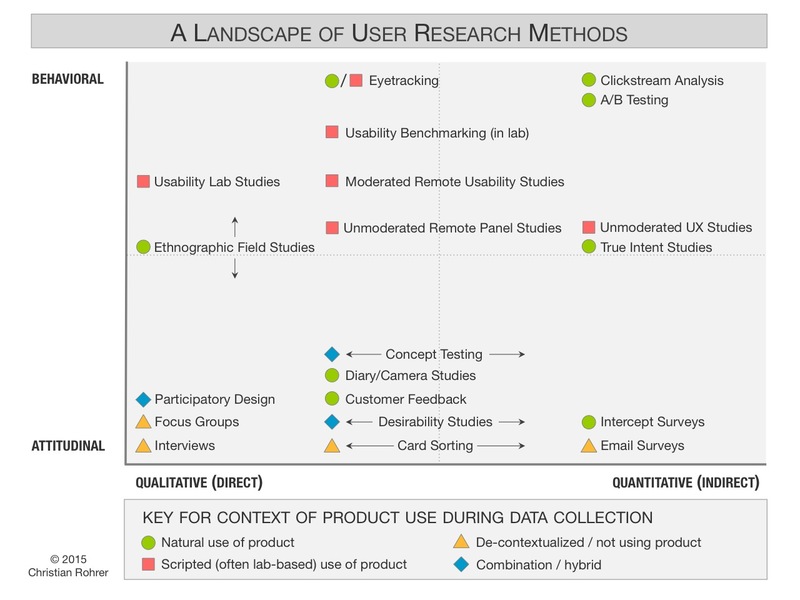 Here’s a great visual overview from a Nielsen Norman Group article by Intel VP and Chief Design Officer Christian Rohrer about when and how we might want to use different research methods.